The population processes in which we all participate are compared, contrasted, and synthesized into understandable trends in the latest edition of this widely acclaimed text. The authors’ cogent analysis encompasses demographic milestones like surpassing the seven billion population mark and becoming a majority urban population for the first time in human history, as well as the repercussions of a global financial crisis and the implications of two important ongoing trends: aging and fertility decline. 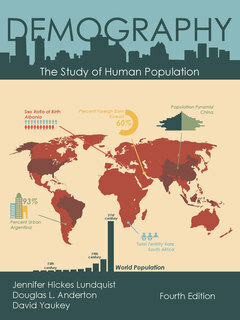 Demography: The Study of Human Population, 4/E, has a companion website developed by the authors. Readers can access the text’s data tables, exercises, and figures at "www.demographytextbook.com". They also will find links to many of the reports, articles, and data files referenced in the text.
. Which Household Union Trends Are Problems?